DoggieDashboard lets you save lots of information about your clients. You can list emergency contacts, work schedules, pick-up times, you name it. Do you require your customers to sign boarding contracts? If so, you can easily upload these contracts and "attach" them to clients. This way, you'll always be able to see which forms your clients have submitted. 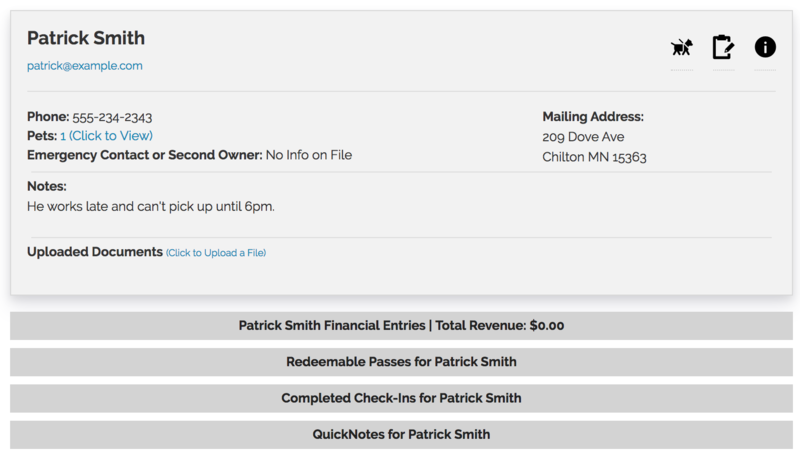 At the bottom of the customer profile, you're able to see up-to-date information on their redeemable passes, finances, check-ins and more.